I remember the first time I saw Eric Johnson live at a Lemmon Ave. club in Dallas. Mama Blues, maybe? It was the late '70s, and Johnson was the warm-up for Stevie Ray Vaughan, then best known as being Jimmy's younger brother. Stevie hadn't yet recorded "Cold Shot" and it was a long, long time before Johnson took the world by storm with 1990's "Cliffs of Dover." Both guitarists put on memorable shows that night, almost as memorable as the Van Erik brothers surprisingly getting booed off the stage in between the sets. While Cary and Kevin Van Erik were the darlings of Texas wrestling fans, music lovers didn't see them as "special guests" between the Austin-based axemen. Ah, those were the days. Eric Johnson - Europe LiveAll these years later, it was a personal delight for me to hear Johnson in concert again, this time on the upcoming Europe Live (which hits stores on June 24). True, he's been involved with previous live releases, notably the 1997 platinum-selling G3: Live in Concert collaboration with Joe Satriani and Steve Vai. 2000's Live and Beyond was recorded with a Johnson side project, Alien Love Child. But Europe Live is something special for at least two reasons. First, the 14 tracks are essentially a "best of" collection of performances, not from one night, but from various 2013 concerts recorded throughout Europe, including gigs in Amsterdam's Melkweg, two dates in Germany at Die Kantine in Koln and Bochum Zeche, and the Paris show at New Morning. It's also a "best of" set because the selections draw from Johnson's entire career and demonstrate his full range of styles and approaches. Yes, we hear "Zap," the most enduring instrumental from Johnson's 1986 debut, Tones. Yes, we hear a new version of 1990's Grammy-winning "Cliffs of Dover" from the breakout album, Ah Via Musicom. From Alien Love Child, we get "Zenland." At the other end of the spectrum, new material includes the "Intro," "Evinrude Fever" (allegedly inspired by Johnson's love for water skiing and boating), and the jazzy "Fatdaddy" from Johnson's 2010 release, Up Close. Perhaps the album's centerpiece is the 11-minute interpretation of John Coltrane's "Mr. P.C.," an extended fusion jam with both bassist Maresh and drummer Wayne Salzmann getting their chance to show off their chops. Other Johnson standards familiar to his followers include two songs from Johnson's 1996 Venus Isle, "Manhattan" and "Sun Reprise," the latter a reworking of "When the Sun Meets the Sky." In short, no Johnson fan will need any sales pitch to want Europe Live. But it's also an ideal disc to introduce new listeners to the capabilities and musicality of one of the most respected and honored guitar players today. No, Johnson isn't often a speed demon, an attribute that seems to be the measure of greatness for some rock fans. Instead, few fingers can pull out fluid melodies from a fretboard like Johnson's, and few guitar masters can make instrumentals so full of emotion and passion with very few lyrics to tell the stories. If you can't be at a live Johnson show, Europe Live is a good way to hear what you're missing. 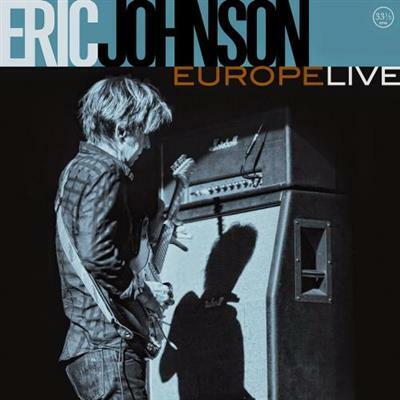 Eric Johnson Europe Live 2014 from rapidshare mediafire megaupload hotfile, Eric Johnson Europe Live 2014 via torrent or emule, full free Eric Johnson Europe Live 2014, Eric Johnson Europe Live 2014 rar zip password or anything related.